Stan Hawkins is Professor of Musicology and Head of Research at the Department of Musicology, University of Oslo, Norway, and Adjunct Professor at the Department of Music, University of Agder, Kristiansand. Since 20013, he has has been commissioning editor for the iconic series, Ashgate Popular and Folk Music Series (with Derek Scott). He holds qualifications in composition and analytical studies from the Department of Music, University of Kwazulu-Natal, South Africa, Hochschule für Musik und Darstellende Kunst, Frankfurt am Main, Germany, and a PhD from York University, England. In Frankfurt he studied with the acclaimed German composer, Gerhard Müller-Hornbach. In 1983 he won the European Young Composer of the Year Award with his composition Stimmungen in D for orchestra. 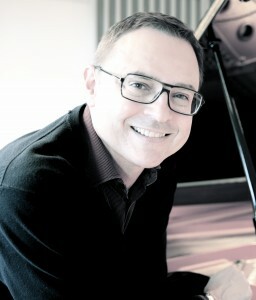 In York he studied with one of the UK’s leading contemporary composers, David Blake. In 1990 he founded the Popular Music Research Unit at the School of Music, Media & Performance, Salford University, Manchester, United Kingdom, where he helped establish the first degrees in Popular Music in the UK, with Beatle’s producer, Sir George Martin as patron to the courses. He writes about the role of popular music in terms of style, identity, sexuality, and gender with a musicological approach that explores music in an interdisciplinary light. Hawkins’ book, Settling the Pop Score: Pop texts and Identity politics (Ashgate, 2002) brings to the fore the idea that reading pop music takes place through dialogue on many levels, which is shaped by the personal alliances between the artist and recipient. In 2004 he edited an anthology of essays together with Sheila Whiteley and Andy Bennett, Music, Space, and Place: Popular Music and Cultural Identity (Ashgate, 2004), which examined the urban and rural spaces where music is experienced, produced and consumed. In 2007 he edited a book with John Richardson, Essays of Sound and Vision, published by Helsinki University Press. Recent publications have dealt with the performative aspects of musical expression and pop, such as The British Pop Dandy: Masculinity, Popular Music and Culture (2009), and Pop Music and Easy Listening (2011). A book on Prince with co-author Sarah Niblock, entitled Prince: The Making of a Pop Music Phenomenon, came out in 2011. An edited festschrift volume by Stan Hawkins of fourteen original essays by international scholars from the UK, US, Germany, Norway, Finland, Italy and France, Critical Musicological Reflections was published in 2012 by Ashgate to commemorate Derek Scott’s 60th birthday. Scott received this edition at a special event organised at the Department of Musicology, University of Oslo, on 24 May 2012. In addition to numerous articles and reviews in international journals, he has contributed chapters to major edited volumes, including Sexing the Groove (ed. Sheila Whiteley, Routledge 1997), Reading Pop (ed. Richard Middleton, Oxford 2000), Analyzing Popular Music , (ed. Allan F. Moore, Cambridge 2003) Madonna’s Drowned Worlds: New Approaches to her Cultural Transfomations , 1983-2003, (eds. S. Fouz-Hernandez & F. Jarman-Ivens, Ashgate, 2004), Queering the Popular Pitch (eds. J. Rycenga & S. Whiteley, Routledge 2006), Normalitet (eds.Thomas Hylland Eriksen & Jan-Kåre Breivik, Universitetsfolaget 2006), Oh Boy! Masculinities and Popular Music (ed. F. Jarman-Ivens, Routledge, 2007), Musicological Identities: Essays in Honor of Susan McClary (eds. S. Baur, R. Knapp, & J. Warwick, Ashgate 2008), Britpop and the English Music Tradition (eds. a. Bennett and J. Stratton, Ashgate 2010) and Morrissey: Fandom, Rrepresentations and Identities (eds. E. Devereux, A. Dillane, and M. J. Power, Intellect, 2011). He has also contributed to The Ashgate Research Companion to Popular Musicology (2009), edited by Derek Scott, as well as editing a volume in The Library of Essays on Popular Music, Pop Music and Easy Listening (2011, Ashgate). He has served on the editorial board of Critical Musicology Online and was editor of the Norwegian Musicological Journal, Studia Musicologica Norvegicafrom 2004 to 2007 and Popular Musicology Online from 1990-2011. He is also a member of the international editorial boards of Popular Musicology Online, Journal of the Royal Musical Association, Popular Music, the Swedish Journal for Music Research (STM-Online), and the South African Journal of the Musical Arts in Africa. He has contributed numerous articles to Gads Musikleksikon, Continuum Encyclopedia of Popular Music of the World and Bakers Encyclopedia of Popular Music. Hawkins has been active in IASPM (The International Association for the Study of Popular Music), where he served as President of the UK branch from 1991 to 1994, and the Norwegian representative of the Nordic branch of IASPM, from 1996 to 2004. At the Department of Musicology, Oslo University, he was a key researcher in the strategic research project, CULCOM, a programme that involved five faculties: The Faculty of Humanities, the Faculty of Law, the Faculty of Social Sciences, the Faculty of Theology and Faculty of Education. Under the leadership of Thomas Hylland Eriksen, one of Norway’s leading anthropologists. Part of this research involved a joint project with music anthropologist, Jan Sverre Knudsen, Musical Bonds & Boundaries, which opened up a dialogue that contributed to a greater understanding of the musical-making phenomena found in contemporary Norwegian society. Hawkins has also been involved in a project led by John Richardson, Contemporary Music, Media and Mediation (CMMM), at the Department of Music, University of Jvyäskyla, Finland. This project was engaged with contemporary music as a cultural phenomenon, with particular reference to the relationship between music and visual media, and to the influence of technology on musical production, performance, and reception. In 2009 the Norwegian Research Council awarded a grant to fund a four year project proposed by Hawkins, entitled ‘Popular Music and Gender in a Transcultural Context‘, which ran from 2010-2014. The team consisted of two PhD students (Birgitte Sandve & Mikkel Ålvik), postdoctoral fellow (Mats Johansson), and research assistants (Mari Paus & Craig Jennex), as well as a group of MA students researching into interrelated topics. A highlight of the project was an international conference in June 2013, with invited guests, such as Susan Fast, Will Straw, Derek Scott, Barbara Bradby and Nina Eidsheim. The project yielded 21 international publications, including three books, and both PhD students graduated with their doctorates in musicology in 2014. Undergraduate and postgraduate courses taught at Oslo University, include Popular Music Analysis, Music Analysis, Music & Cultural Studies, Music & Media, and Music & Identity and graduate seminars that explore conjunctions between pop music, interpretation, gender theory, representation politics, aesthetics, and musicological analysis.